We are pleased to report that Sami a grey seal pup who was rescued on a beach in Jersey just after Christmas starving and unwell is only a few weeks away from being ready for going back to the wild. Four months on from her rescue she is eating extremely well and after being recently weighed by her carer Geoff George we are pleased to report that she weighs just over 36kg. The team are overjoyed with her progress at the GSPCA and we are all very excited that she will be soon released back to the wild. 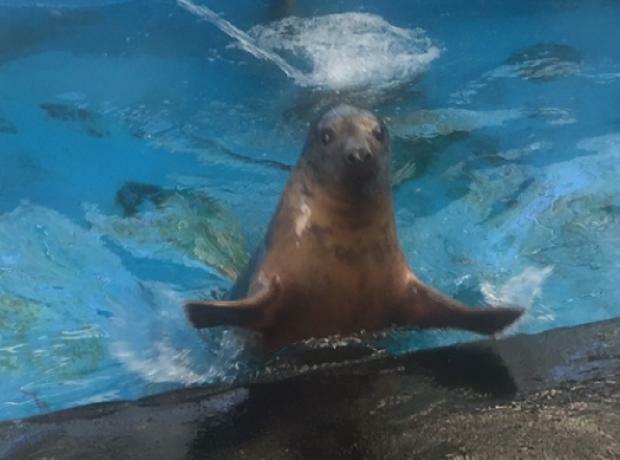 We are pleased to report that Sami a grey seal pup who was rescued on a beach in Jersey just after Christmas starving and unwell is making fantastic progress and is now swimming well in our pools at the Shelter in St Andrews. Nearly four months on from her rescue she is eating extremely well and over the last two weeks been enjoying the sunshine and her rehabilitation pool. Sami continues to eat between 20 to 30 mackerel and herring a day and we continue to appeal for support towards her care. 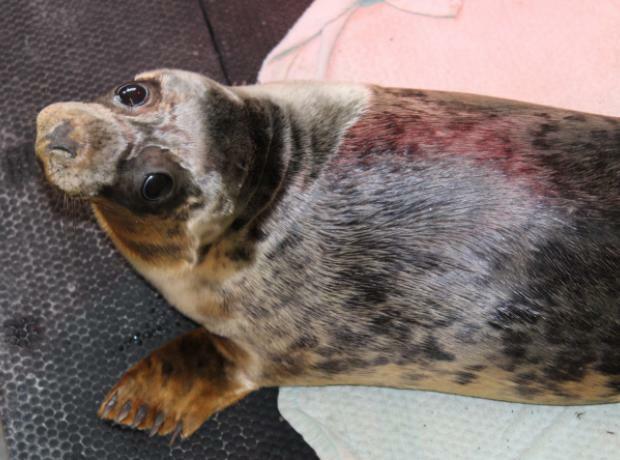 Sami a grey seal pup was rescued on a beach in Jersey just after Christmas starving and unwell and the GSPCA are hugely grateful to SandpiperCI who are kindly helping with her care. If Sami hadn’t have been rescued by the JSPCA and BDMLR volunteers she would have certainly perished. Nearly three months on from her rescue we the team at the GSPCA can’t believe how much she has grown and how great her appetite now is after her near death experience.